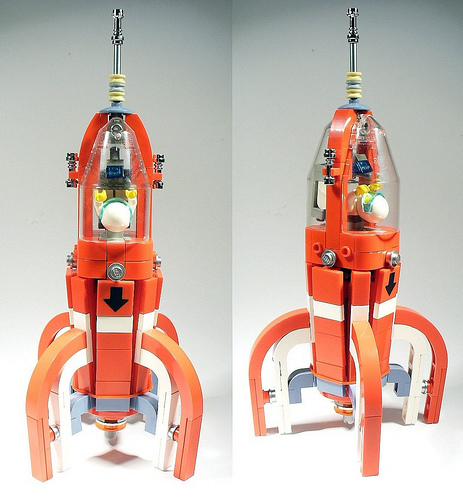 Continuing with the retro-future theme a little more (and the Bowie references) I present the Rocketship Paragon. I love these retro rockets. Great job! I love the shape of this retro ship with the use of concentric (sor of) arches. And now I’ve got Bowie running through my mind…. Aw man, we need to see more of the vintage style ships (read: non-steampunk). Very Flash Gordon, nice!!! tintin-esk. I like the below fig bubble so he can see whats going on underneath.